End your summer in style! Get tickets for Changes in Latitude!! 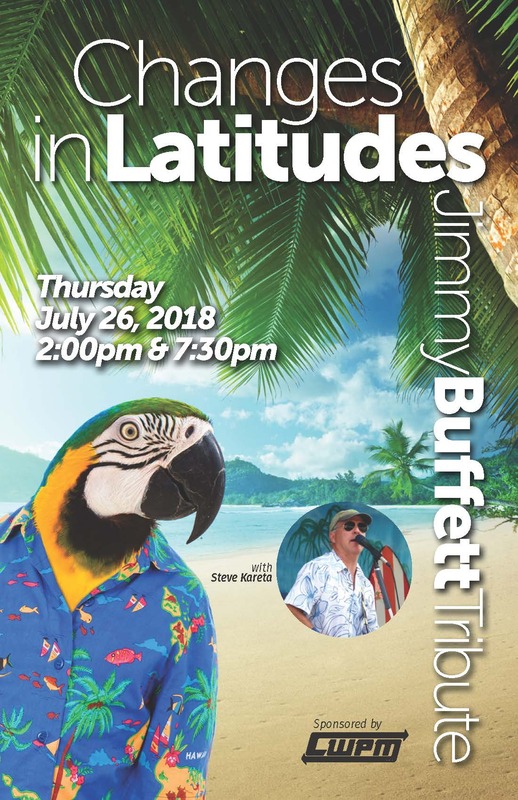 JULY 26, 2018 • 2PM & 7:30PM — Changes In Latitudes recreates the Jimmy Buffett concert experience with amazing authenticity. Complete with a full tropical stage set-up of palm trees, surf-boards, tiki-totems, and a full-stage backdrop, you’ll believe that you’re at a Buffett concert before the show begins. 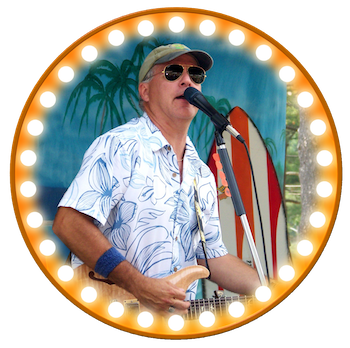 Leader Steve Kareta mimics Jimmy’s casual, storyteller style, taking you on a laid-back yet up-beat musical trip through the sun-drenched Caribbean.